THE latest gender-gap study on directors' salaries at Singapore Exchange-listed companies raises the question if sexism can explain why women are still significantly underpaid. 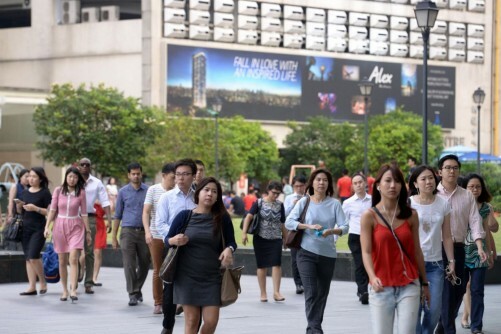 Last Wednesday, NUS Business School's Centre for Governance, Institutions and Organisations released the findings of its study on gender-pay differences in 199 SGX-listed companies. It was found that female directors of these firms earned 56.8 per cent of male directors' remuneration on average, indicating a gender pay gap of 43.2 per cent, with the widest gaps found in large firms with a market value of more than S$1 billion. The gap is reflected in the annual average director remuneration of S$209,265 for female directors in all SGX-listed companies and S$368,589 for male directors. The study didn't state the names of the firms examined or whether these firms are local or foreign companies. In Singapore, independent directors, who are often paid a fixed fee, had the smallest gender pay gap of 17 per cent. Female independent directors earned S$86,474 on average annually, which was 83 per cent of male independent directors' S$104,237. Partially explaining this, NUS said that it was because women were less likely to serve on board committees, be appointed as committee chairs, or act as lead independent directors, which are "roles that come with greater responsibilities and higher fees". Marleen Dieleman, associate professor of strategy and policy at NUS Business School, said that the results are "disappointing and show that gender inequality in SGX-listed company boards deserves greater attention". It's not that gender inequality lacks attention. The root of the problem lies in society shying away from the topic and avoiding discussions about it in deeper detail, as if it were a taboo. "The discussion on board diversity in Singapore should move beyond merely increasing the percentage of female directors (and) address deep-seated inequalities including remuneration and women's share of board leadership roles," she added. To be sure, the issue of gender pay gap isn't new. Countless number of studies have been done to examine the matter. Although there has been a significant decrease in the male-female pay gap since the 1950s, women today still earn less than men. There is segregation in the labour market where women seem to be under-represented in certain sectors such as engineering and science or in senior and board positions. Mixed with such sobering statistics are examples of sexism that suggest women are still perceived to be less capable than men in the 21st century. On Sunday, Janusz Korwin-Mikke, Polish nationalist Member of the European Parliament (MEP), said: "Of course, women must earn less than men. Because they are weaker, they are smaller, they are less intelligent." His remarks didn't sit well with Spanish socialist MEP Iratxe Garcia-Perez who retorted: "According to your theory, I should not have the right to be here as a member of this Parliament. . . I know it hurts and worries you that today women can sit in this house and represent European citizens with the same rights as you." Mr Korwin-Mikke's eyebrow-raising comment and the study by NUS Business School send a stark reminder that sexism is well and alive. And if not kicked in the nuts, the problem will not be cracked. A 2011 study by the British Chartered Management Institute revealed that if pay growth continues for female executives at current rates, the gap between the earnings of female and male executives would not be closed until 2109. In Singapore, some companies remain hush about this controversial issue. When approached, they decline to reveal how much their male and female directors are paid, much less give reasons or agree that the issue is one that needs to be addressed. The problem is when society assumes that women will always be, at most, a subset of men. If a woman is cast in the same spotlight, she is deemed as aggressive or domineering but rarely seen as empowering. When women move one step forward each time, society seems to be moving two steps backwards. Across developed and developing nations, there is still a deep-rooted mindset that men are sovereign. While the gender-pay gap matter is still a work-in-progress, we can only hope that society will mature by 2109 or even sooner to accept that men and women have the same capabilities to succeed when it comes to the workplace.